Smith I/OX Replacement lens is a easy way to easily upgrade your Smith I/OX frame with the very latest in technical innovation from Smith Optics, go ahead and make a great day even better! 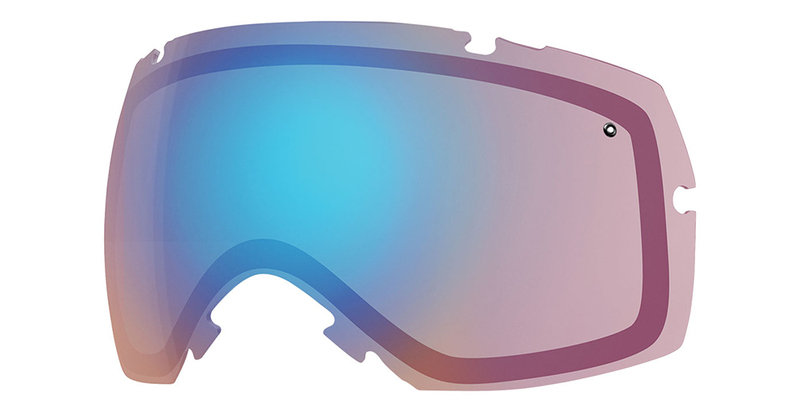 Upgrading your frame to the latest in Smith Chromapop technology is a easy way to make your Smith I/OX Goggles brand new again with the very latest in technical innovation delivering you the ultimate optical experience. 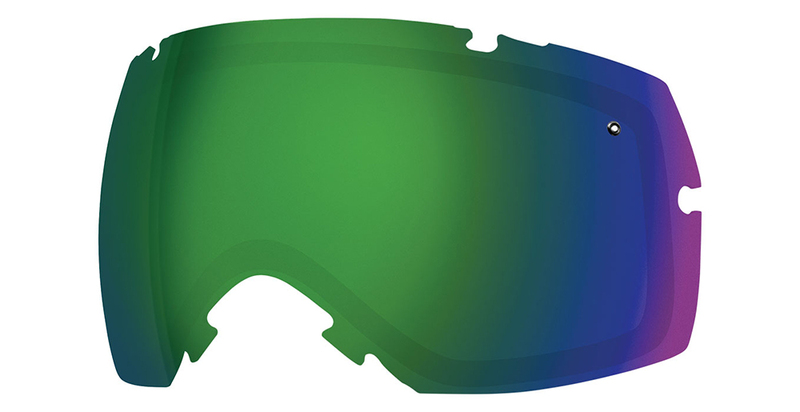 Smith I/OX lens with Smith Chromapop is a clear advantage, go ahead and add to your quiver of lenses from Action Sport Optics, a trusted leader in sport & lifestyle optics. 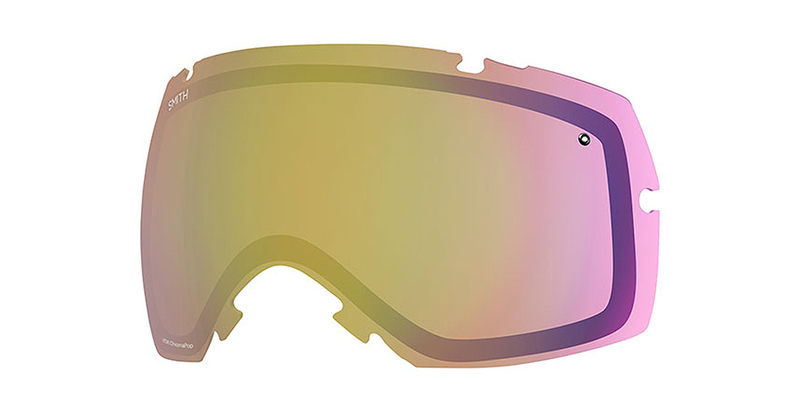 Smith IOX Chromapop Goggle Lenses information: Smith Chromapop Spare lenses lenses deliver the super lens of the future with revolutionary technology that puts Smith in a class of its own. Smith Replacement Lens with Smith Chromapop is engineered to deliver the ultimate in clarity, protection, impact resistance& when you purchase a set of Smith Chromapop Goggle Lenses you are investing in the best lenses that the industry has to offer with the ultimate in clarity & protection from harmful UVA UVB UVC rays. Why Are Smith Chromapop Lenses Better? : Smith I/OX Replacement lens with ChromaPop deliver detail and color beyond normal capabilities by filtering 2 wavelengths of light that cause color confusion to your eyes. This technology delivers the ultimate true clarity experience. 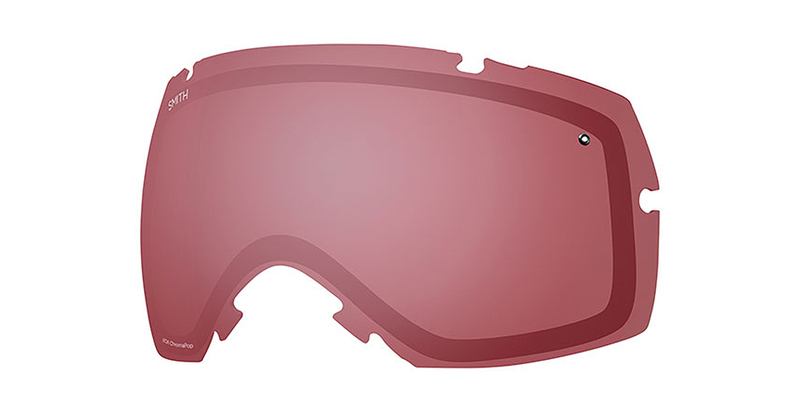 Frame Compatibility: Smith I/OX lens for the I/OX frame are compatible with all Smith I/OX goggle frames regardless of year. Sun Black: 12% VLT, performance for sunny conditions. Sun Green Mirror: 9% VLT, the ultimate sunny condition lens. 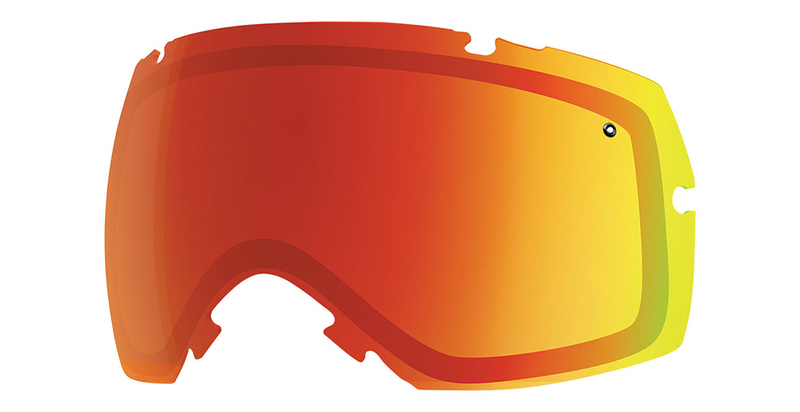 Sun Red Mirror: 16% VLT, performance for sunny conditions. Sun Platinum Mirror: 13% VLT, performance for sunny conditions. 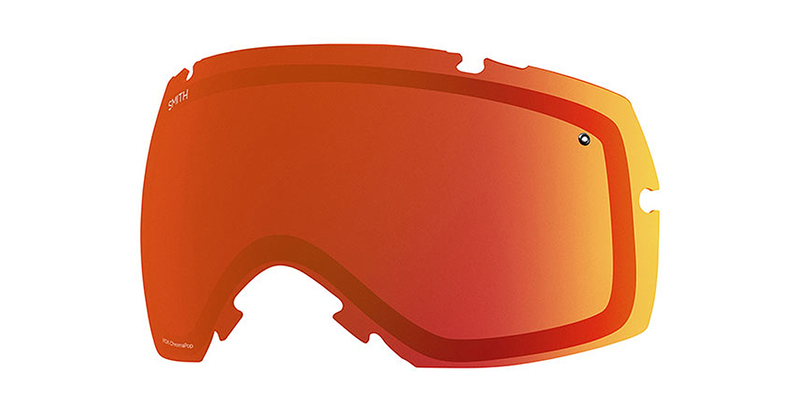 Everyday Red Mirror: 25% VLT, performance for sunny to variable partly cloudy conditions. Everyday Green Mirror: 23% VLT, performance for sunny to variable partly cloudy conditions. Everyday Violet Mirror: 23% VLT, performance for sunny to variable partly cloudy conditions. Everyday Rose: 36% VLT, performance for variable partly cloudy conditions. Storm Rose Flash: 50% VLT, performance for cloudy low light conditions. Storm Yellow Flash: 65% VLT, the ultimate low light lens. Photochromic Rose Flash: 30-50% VLT, range- tint changes automatically based on changing light conditions, great lens for both variable light & low light.